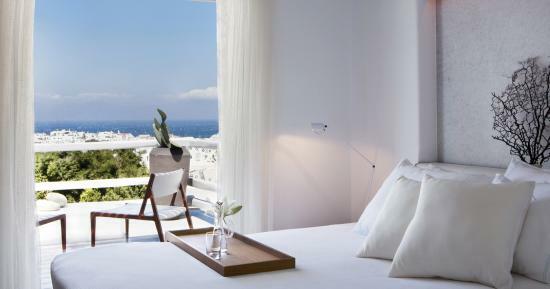 Located in Little Venice, only 10 minute walk from the Belvedere, this two-level Pied-à-Terre accommodation option is one of the standout properties in Belvedere Mykonos Hotel Portfolio. With minimal décor and understated luxury every which way you look, you can really get away from it all. On the ground level, the sunset shower is dedicated to moments of daydreaming! On the lower lever, the private dock is ideal for relaxing, sunbathing or utterly romantic sunset dinners. 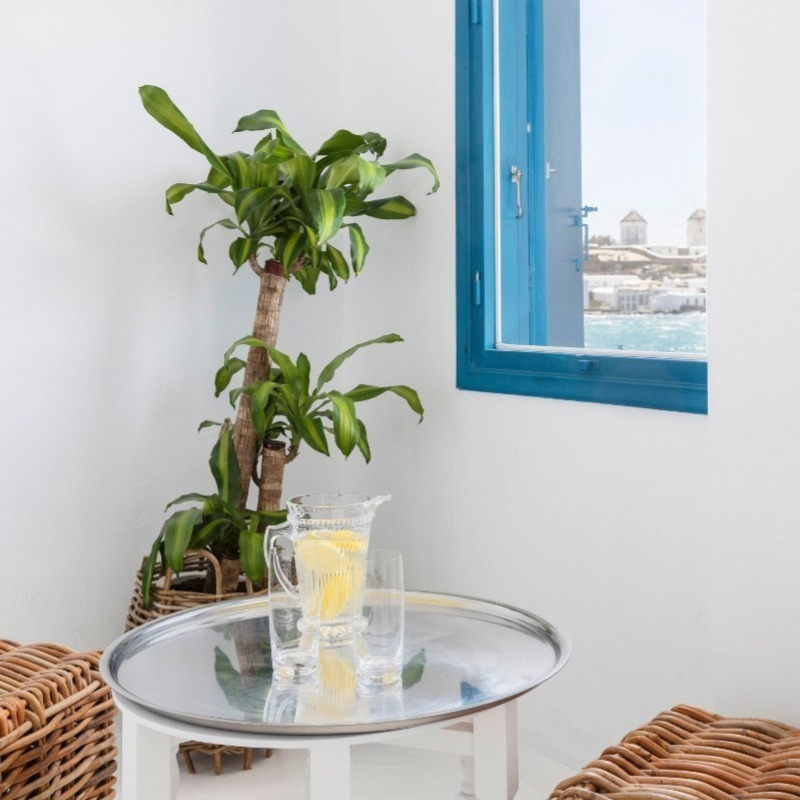 The recently updated two-bedroom property showcases traditional Mykonian design elements combined with comforts of a much-loved home. No luxury or comfort has been overlooked, and whether you’re staying for a few days or for a week, you’ll feel right at home. Views to the sea are uninterrupted and the private waterfront dock makes this unit incredibly peaceful yet close enough to the buzz of Mykonos town. 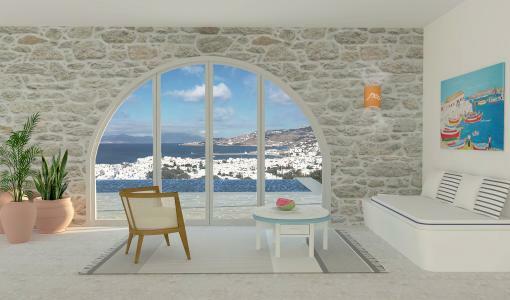 Have your breakfast in the morning, swim with the offered swimming equipment or dine with Mykonos Windmills as a backdrop. Want to discover the town? 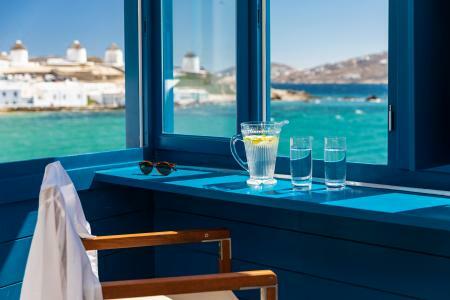 Walk to the famous windmills, old port and Mykonos centre or take your pick of the hotel’s restaurants, pool club or spa, all only a short stroll away. This beautiful two-level apartment is conveniently located within 10 minutes from the Belvedere Hotel. 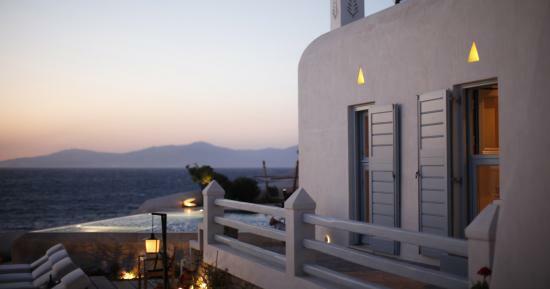 Set at the iconic Little Venice with quick access to the attractions and eccentricities which have made Mykonos world famous.